We all dream of no longer spending our days tied to the desk of corporate America. 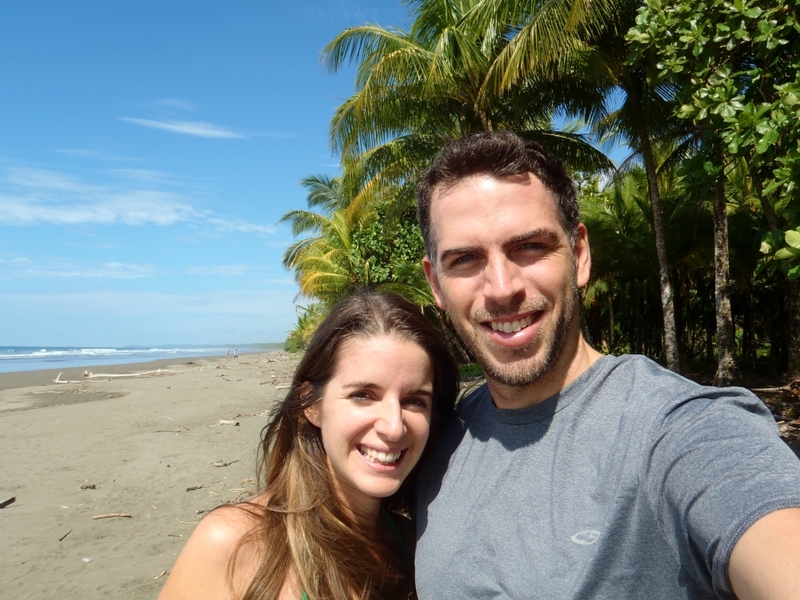 Matt and Jenn, from Two Weeks In Costa Rica, made their dream come true after leaving Boston to take a chance on a new more entrepreneurial life in a country located between Panama and Nicaragua. What was suppose to be a 2 week holiday has now become 2 years living the expat life. This interview struck a cord with me as I personally, have had the exact same feelings when deciding to live the expat life. Lets hear from them now. What initiated your move abroad to Costa Rica? My husband and I decided to move abroad after I lost both of my parents at a very young age. Life is too short not to do what you want to do. We loved Costa Rica and after taking several trips, decided we wanted to live there. So one day, after a lot of planning, we made it happen. We’ve been here for two years so far and I don’t see us leaving anytime soon. The freedom to set our own schedule has been a big benefit of being an expat. My old job in the US as an attorney was very regimented and inflexible. Now that we own our own business, we can take time off whenever we want. We can head to the beach on a sunny Wednesday and make up the time on a cloudy Saturday. What’s the best part about living in Costa Rica? The raw natural beauty. Costa Rica is one of the prettiest places in the world, in my opinion. The green tropical rainforest, exotic wildlife, and gorgeous, secluded beaches, they never cease to amaze me. What’s the hardest part about living in Costa Rica? The hardest part about living in Costa Rica is missing family and friends. We’re thousands of miles from those closest to us in Boston so only get to see most people once a year, if that. 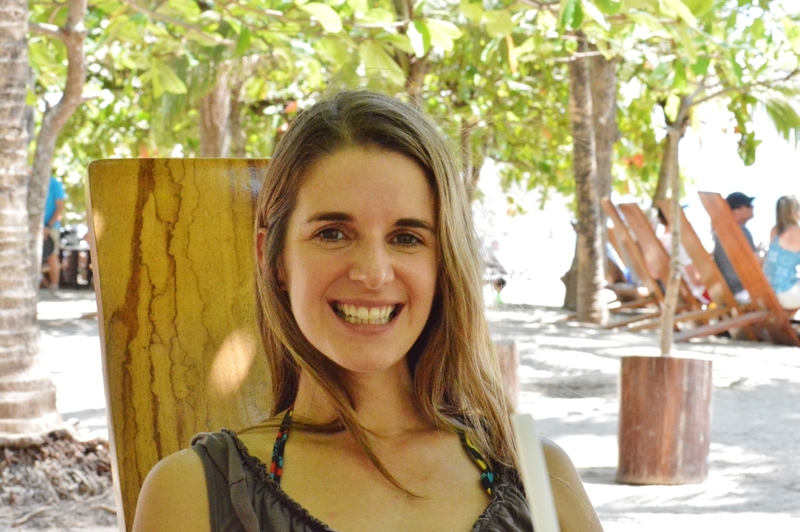 What was your biggest culture shock in Costa Rica? Getting used to the slow pace of life was probably the biggest culture shock. A slow pace surely has its benefits and is one of the reasons we moved to Costa Rica, but it can be a hindrance as well. Just imagine trying to get your car repaired when the mechanic is closed for three weeks because of a holiday. Yes, definitely, but I would really have to love the place. We spent the first year and a half traveling around Costa Rica, and I’m definitely enjoying staying in one place. The only other country we’ve considered living in so far is Panama, but after several visits, we decided it wasn’t for us. If you could go back to the time before you moved, what would you do differently? I would run around less. We spent a lot of our time traveling around to events, showers, BBQs, etc. to make other people, who we weren’t even close to us, happy. If I could do it again, I’d spend more time doing what I want to do and seeing people who truly care about me. What’s one thing you miss most from your life in Boston? Good cheese. I am a cheese lover and real cheese like brie, goat cheese, and blue cheese are extremely hard to find in Costa Rica. If you were to move back to Boston, what is something you would miss most from Costa Rica? I think I would miss the environment the most, the natural beauty I mentioned before, and also the slow pace of life. Dogs but I like cats too. We’ve been pet sitting in Costa Rica and have taken care of some awesome animals. What’s something you wish you knew before arriving in your new country? I wish we knew more specifics about the cost of living in Costa Rica. We had done a lot of research but something like cost of living can be hard to gauge until you’re experiencing it for yourself. Costa Rica is far more expensive than most people realize. What’s your favorite neighborhood in Costa Rica? I’m partial to Costa Rica’s Southern Zone. It’s a magical area along the southern Pacific coast where the ocean meets the rainforest-covered mountains. What’s your favorite food to eat in Costa Rica? Rice and beans- We eat it every day. The fresh tropical fruit is also outstanding. What one thing could have made your transition easier? The obvious answer is having a job lined up or continuing my old job through telecommuting. This would have eliminated most of our financial stress, but also would have made our expat experience completely different. Starting fresh with our books and travel business has forced us to be devoted to our website in a way that we wouldn’t otherwise be if we had other income to fall back on. Like what you read and want to hear more great stories from our Expert Expats? Follow us on Facebook and Twitter!